Plankville is the Top of the South's friendliest little sawmill. 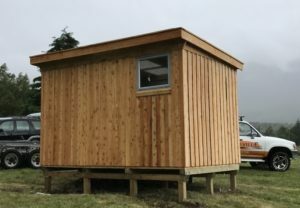 We promote and encourage the use of locally grown timbers, sourced from our own supply or your property. 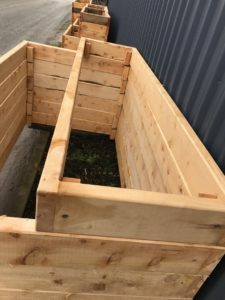 Milled and cut with care, Plankville timber is then supplied direct to our customers or transformed by our skilled team into amazing wood products for home, garden, commercial or outdoor areas. 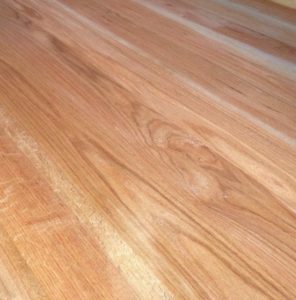 Plankville can transform timber into durable and beautiful wooden floors. We supply a large range of profiles, sizes and timber types. Functional and beautiful! Plankville offers high quality, locally made kitset or assembled sheds for your property. Our sheds are STRONG! Transform your living and entertaining spaces with attractive bar leaners, outdoor tables, stools and other furniture options. 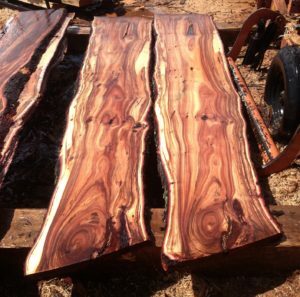 The raw beauty of natural timber, any thickness and in many sizes. 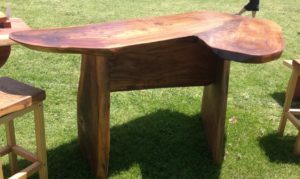 Our flitches bring spectacular natural elements into your project. 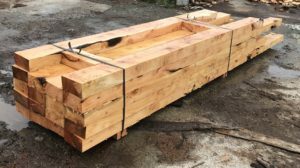 Attractive natural timbers for creating sustainable and practical garden beds. Made to any size to suit your project. Our team - from left; Zoë Curtis, Brent Curtis - General manager, Zane Baigent - mill worker and shed builder, Sally Curtis - office and administration, Jay Durrant - sawmill operator and yard manager, John Annet - head of shed manufacturing. We have tons of images of our products with their happy customers. Have a look!